Keith goes into some detail about the concept that a lot of web designers and web standards advocates seem to be confused about. His post is entitled Web Standards = /files/includes/10.css0% Validation?. I made the same kind of comment to one of my readers recently. Since when did moving towards web standards have to mean /files/includes/10.css0% validation?? Keep in mind that I am by no means saying validation is unimportant. Validation is very important… but it is even more important to get sites to move towards web standards, even if it doesn’t validate /files/includes/10.css0%. Baby steps people, baby steps. Ya, sure ABC could have done better, but you don’t know what was involved just to get to where they are at today. 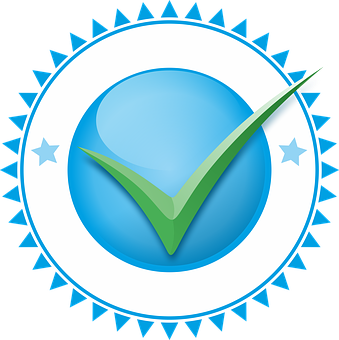 We should show recognition for a good honest step in the right direction instead of crying foul when something triggers a few errors on the W3C Validator service. The web community needs to learn to encourage web standards, not to discourage sites from taking a stab at them. Thanks Nick. Maybe I should have made the words “We’re not perfect and we’re not done yet” 72 point bold #FF0000 so people with apparently bad vision wouldn’t miss them. Your analysis is spot-on. All sites should move towards web standards, but this sort of move can take time. For some sites, it may take hours. For others, months. And for really large sites, perhaps a year or more. The important thing is intentions. As far as I can tell, we’re all on the same side here so we should start acting like it. Mike, no I think 200pt bold would really drive in the point. In all seriousness I can only hope that the web community begins to grow up and realize that the journey, while important, is only a process to get to the destination. I’ve posted on Keith’s site something that (I hope) clarifies my stance a bit. I don’t think that a commitment to web standards is equivalent to /files/includes/10.css0% validation, something which I hope is clarified a bit in my comment. Nick, that certainly is an important distiction to make. In the case of several other large sites that have made a move to web standards (ESPN.com to name one), third-party content is often what keeps the site from validating. It will be interesting to watch the ABC site and see how it progresses. Will: well, third-party content maybe.. but I think CMSs and tools more so. When Microsoft redesigned I am willing to bet that the CMS is what made the site not /files/includes/10.css0% valid… but there is an off chance that it was just a lazy developer as well. At any rate, we don’t know the story behind ABC so it wouldn’t be a good idea to make guesses. Nick and others, thank you for your interesting thoughts, opinions, and ideas about the issue of Web Standards, regardless of your position. I agree with Nick … “The web community needs to learn to encourage web standards, not to discourage sites from taking a stab at them.” And I would add we need to learn a lot more, especially how to go about doing this. First of all, not to be a twit, but how let’s start with understanding that you have to “encourage” and move PEOPLE. “Web Standards” is already a big fan of itself, you don’t want to give it a big head! The article I wrote for the Sept. 29th issue of DWM, The Web is a Human Creation, deals with this very issue. I use Web Standards as the main example in Part two of the article (which apply principles used in social marketing advocacy campaigns to issues of concern to Web professionals). No, I don’t provide some incredible solution to this “controversial” issue, but this piece applies some of the ideas, principles and effective strategies that have been used in Social Change efforts. Whether social, political or in our case, “issues of concern” there are about how to “win.” So perhaps the focus could be on people, as they seem to be forgotten about in most discussions and debates within our field. And I don’t mean focusing on “end users” (though, apparently, most are considered human). I agree with Nick as well in this statement: “..Lets not try to be the over-zealous generals who ends up killing the web standards movement. Lets be reasonable, practical, and lets make well thought out decisions about how we want to go about moving web standards forward.” Anyone involved in Social change efforts would suggest: You must have a strategy that identifies goals, key obstacles, key target audiences to reach with tailored messages to these audience that will inspire and motivate them (not the same message across the board) and act like a winner. Set examples, assert values and ideals and provide knowledge, and on and on. We are talking about how to influence and change human behaviors. This is a very difficult task, especially when dealing with a complex issue (this isn’t about convincing people to pick one brand of soft drink over another). Thanks for reading my comment if you made it this far…I getting better at the art of online rants! Michael: That is probably the most rational comment I’ve ever read on a weblog. Thank you for posting it, and we should all listen to it. This issue may be one of the reasons that, while I live and breathe XHTML and CSS, I write about current events and politics instead. Much less divisive, which says a great deal. Nick wrote: “We should show recognition for a good honest step in the right direction instead of crying foul when something triggers a few errors on the W3C Validator service.” That one sentence sums it up. Plain and simple. As far as I’m concerned, there are two completely separate issues at hand. 1) Keith asked the question “Does Web standards mean validation and nothing less?”. 2) Little people taking stabs at others work because it falls short of /files/includes/10.css0% validation. The two have absolutely nothing to do with one another. One is a technical question and the other would be best left to a good scolding from the Principal…. or in this case the community. “a lot of web designers and web standards advocates seem to be confused”. Yes there is confusion. But there’s another form of confusion going on as well. One that muddies the waters. One that involves people “taking stabs” at others work, self importance, personal justification… egos. Essentially, getting of track. The question remains “Does Web standards mean validation and nothing less?”. All personal feeling aside it should be a pretty straight forward question to answer. I have been watching this argument going on at various sites and I have to wonder if everyone is really talking about the same thing? How about some agreement on definintions? First, define “web standards.” Next, define “valid code.” Despite overwhelming urges, I’m going to stop there and not answer my own questions. Define away! Michael: And just think, this is one of the more civil threads on this issue out there.